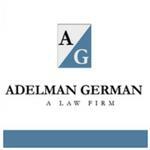 Located in Scottsdale, Arizona, the law firm of Adelman German, PLC, is dedicated to protecting the interests of clients whose long-term disability insurance claims have been denied or who have been injured due to another party’s negligence. Our founding attorneys, Danny Adelman and Steve German, come from large law firm backgrounds where protecting the interests of corporations and insurance companies made up the majority of their work. They found that their calling was to help personal injury victims and policyholders who were suffering at the hands of these entities and formed Adelman German, PLC, in 2003. Today, they focus their efforts exclusively on complex personal injury claims and insurance disputes. Everything they do centers on obtaining justice for victims of negligence and indifference. You will not find a legal team that is more committed to the success of your case than ours. Each lawyer at our firm is focused on a specific area of law. So, you can feel confident that your case is in the hands of someone with the knowledge and background to pursue the results you need in your personal injury claim or insurance dispute. We invite you to contact us to learn more about our firm and legal services.